Parents of young children newly diagnosed on the autism spectrum are often at a loss for ideas about how best to help their child. This book is not just a collection of play ideas; it shows how to break down activities into manageable stages, and looks at ways to gain a child's attention and motivation and to build on small achievements. 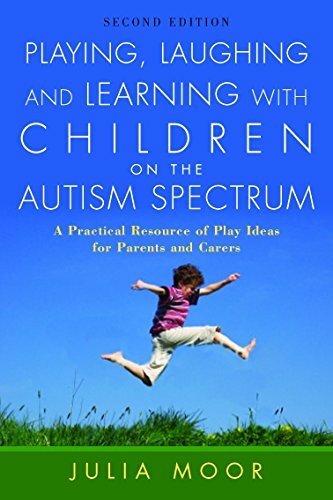 Each chapter covers a collection of ideas around a theme, including music, art, physical activities, playing outdoors, puzzles, turn-taking and using existing toys to create play sequences. There are also chapters on introducing reading and making the most of television. This updated second edition contains an extensive chapter on how to use the computer, the internet and the digital camera to find and make resources and activities, and suggests many suitable websites to help parents through the internet maze. The ideas are useful both for toddlers and primary age children who are still struggling with play.